• Start with this month's exclusive free download. • See new maps from upcoming books. • Join my adventures, revealed only to fans. • Discover the latest plot twists and characters. This free email series is delivered twice a month. I reserve my latest art for fans only. You'll see exclusive new maps and artwork from my upcoming book, well before they're published and posted online. You'll hear a bit of story-view about the master cartographer within the Known World, who assigns each of his old-world apprentices a different one of the TotKW books to illustrate. As my map-making skills improve, I give you an inside look at my map-making process as it develops. When I go back through finished maps to make updates, I share the updated maps with you and keep the older versions in your downloadable extras from behind the scenes (see Free Downloads below). I invite you to share your input about my upcoming books and plans, and catch up on my collaborations around the web. Find out about my upcoming performances and promotions, how I feel about their approach, and how you can attend and share these events with friends. You'll also learn what's happening in my life as a professional author. Delve into my writing struggles, solutions, and milestones. Browse the pictures, concepts, and research that inspire my latest schemes. 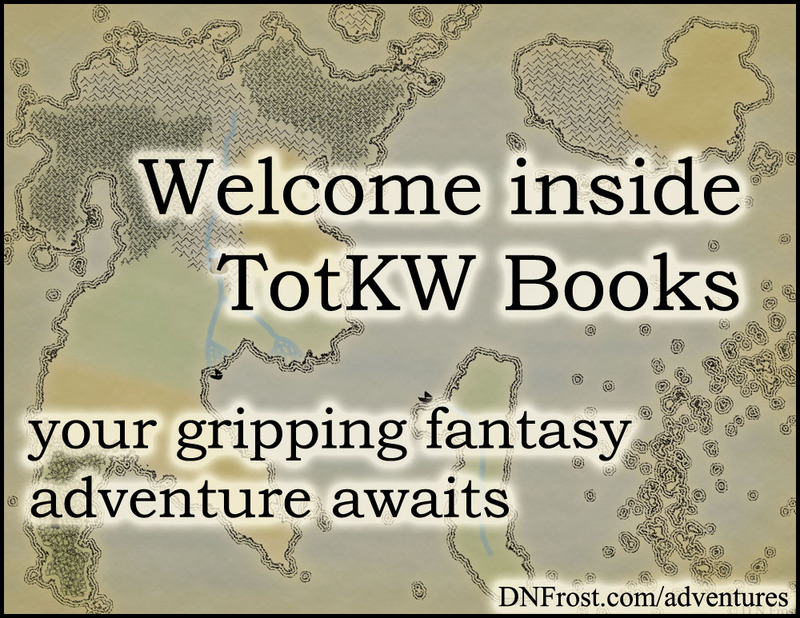 See what's cooking in my projects behind the scenes, and find out what's next for the TotKW saga (see Storycraft Alert below). You'll hear about my writing process, my progress through creating the next book, and what stage of the process I'm in currently. Hear what my latest scenes mean to the story, and which major scenes I'm most looking forward to working on. Find out the themes I can't wait to explore, and the characters I'm most excited to develop. I'll reveal tidbits about my recent plotlines, characters, and prophesies as I create my next book. I reveal major plot events and unveil some of the thematic motifs I'm using. Learn what character muses are strongest right now, and hear about the inspired additions I didn't plan on (see Fantasy Adventures above). 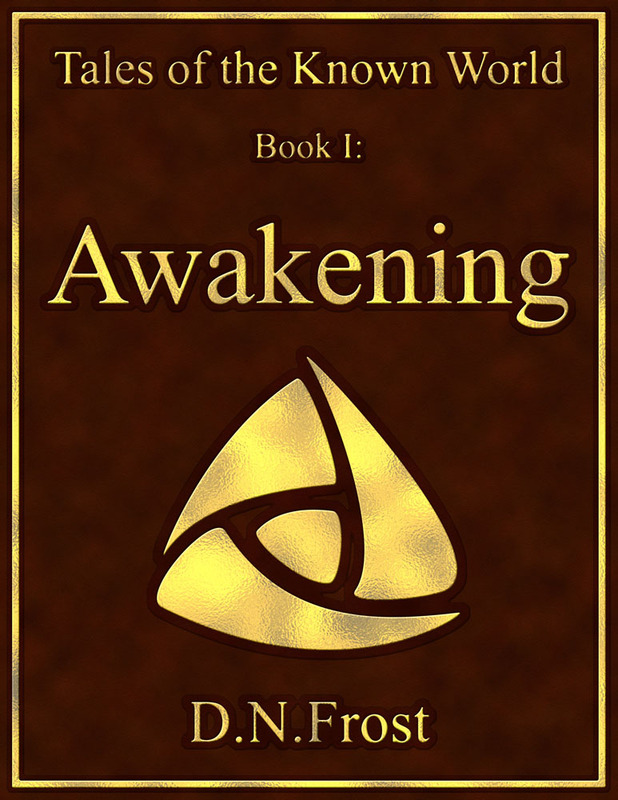 With your free ebook, you can read deep into my saga's opening novel. This PDF download provides the first eight chapters and eleven maps for your enjoyment. Then dive into the Known World with bonus content found nowhere else! Enjoy my personal notes that reveal magic and secrets beyond the scope of the novels. Your free subscription also comes with exclusive high-resolution maps and art from the saga. Over 200 print-quality images are at your fingertips! Download your favorites for screen backgrounds, or print out a few for your next game night. You can even access unreleased images from upcoming books (see Exclusive Art above).